Whether for a birthday, baby shower, or wedding, our bracelets are perfect for every occasion. The exceptional quality of every bracelet will wow you! 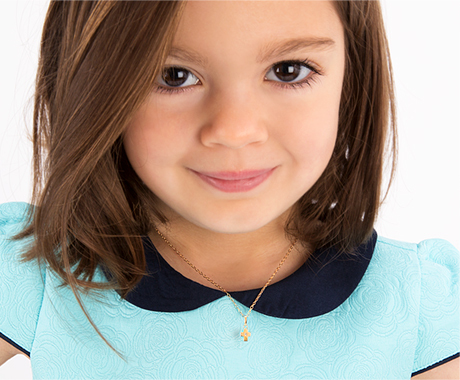 Our genuine cultured pearls are stunning on children from newborns to flower girls to tweens. The vibrant colors of our Swarovski® Crystals never disappoint. Each bracelet looks beautiful in the images shown, but nothing compares to seeing their brilliance in person, adorning your child's wrist. Add adorable charms such as the Cupcake Charm for a birthday, or the Baby Shoe Charm for the birth of a new baby girl. Every occasion can be extra special with these precious personalized gifts!